At an early age, I was able to tap into the gift God entrusted to me. As I grew & matured into womanhood, the innate gift of healing became more pronounced. As I worked with women in my career and ministry, women entrusted my ability to spiritually support them to conceive, coupled with specific dietary options that would bring comfort and relief to the pain they were experiencing due to their feminine maladies. After many years of my own struggle with reproductive issues and inability to conceive, I decided to dedicate myself to helping women overcome hormonal/infertility issues. In 2011, I battled with severe pre-menopausal symptoms that almost crippled me mentally, spiritually and physically. (If you can name a menopausal symptom I had it). This is where the true journey began as I sought extensively after Homeopathic medicine that would bring my body into a state of Homeostasis. 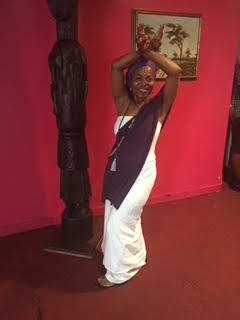 Although I worked with natural remedies as a professional, it lead me into a deeper path as I studied Holistic/Ayurvedic Medicine which then lead me to Queen Afua where I was initiated as a Sacred Woman Practitioner and currently work with Sacred Woman In the Making(S.W.I.M) all over the world. 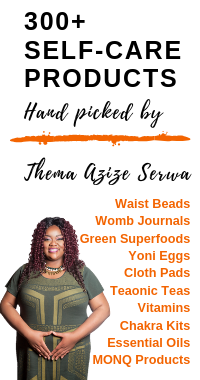 As I became more involved with this sacred work and the demand for the womb healing presented itself, I was lead to The Womb Sauna for deeper training as a Womb Practitioner. Today I am proficient in my skills as I assist women in taking back their power to heal themselves. Whether it’s spiritually, mentally, or physically I am committed to helping them tap into the divine women they are destined to be.